The first is the New Jersey Seafood Festival in Belmar. It’s NJ’s largest seafood festival, featuring food vendors, crafters, live entertainment and so much more, on Ocean Ave at 5th Ave, Saturday and Sunday. Sample some of the best seafood NJ has to offer! Food offerings extend from the traditional shrimp, lobster and calamari, to the more exotic alligator sausage, sushi, conch fritters, and seafood paella. There will be live entertainment throughout the weekend and fun activities for the kids. 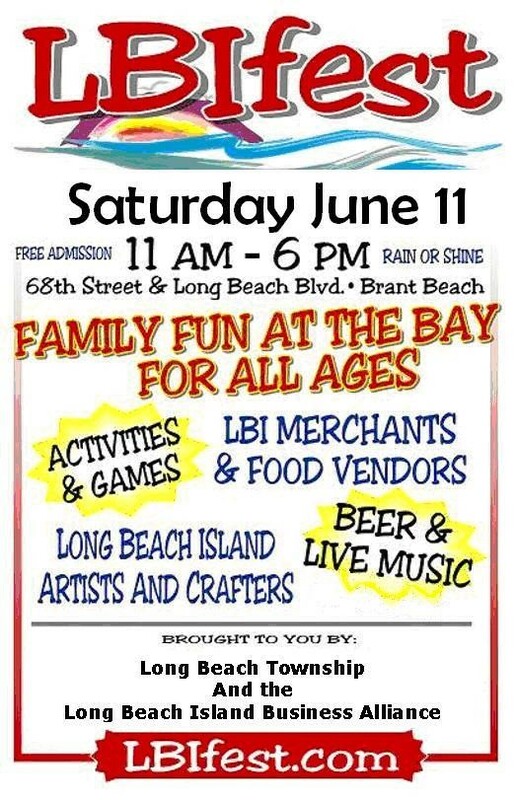 Then on Saturday, Brant Beach will host LBIFest 2011, with a collection LBI restaurants, retail shops, artists, entertainment, and non-profit organizations to provide fun activities for all ages, music, and more. The festival will be at the Long Beach Township Municipal Complex & Bayview Park, 68th Street & Long Beach Blvd, Brant Beach, 11am-6pm. Admission is FREE (Other goods, services, and activities will be priced by their providers, as well as all food and beverage items). Other weekend events will include the Ocean Grove Vintage Car Show, Saturday from 10am-4pm. Browse among the 90 cars on display on Main Avenue in this historic town while enjoying the Doo-Wop music of the RB Express from 12pm-4pm. 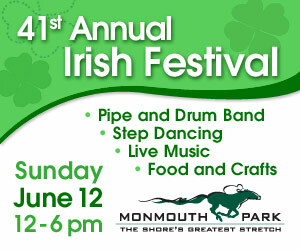 On Sunday at the Monmouth Park Racetrack there’s an Irish Festival. You can celebrate the Emerald Isle with live music, food and family fun, between 12-6pm. There will be live entertainment on two different stages, Pipe & Drum Band Competition, Catholic Mass, Food Vendors, Craft Vendors, Irish Step Dancing, Family Activities, 50/50 Raffle and a full day of live Thoroughbred racing. The Asbury Park Triathlon on Sunday, with intermediate distances (Swim 750m, Bike 14.5mi, Run 3mi), cash premiums for fastest splits and a great finish on the boardwalk.